1. When I try to purchase or withdraw, I am asked for a Trade Offer URL, what is that? A trade offer URL is a link for third party to send you trade offer. You can learn more about it here. In order to trade on Dispenser.tf, you have to set this URL on your shop page. 2. Is the 'Trade Offer URL' private information? Is it safe to provide it to you? 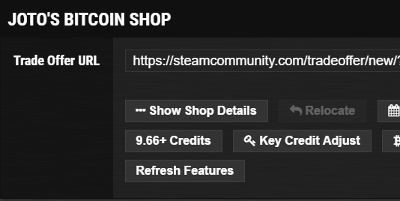 Although the Trade Offer URL is unique to every Steam users, it is not any private information. It is designed to be shared with others in order to trade with people that are not on your friend list. Steam has cleared stated that "You can share this URL anywhere, including on third-party trading sites and Steam Community groups". On dispenser.tf, only bot knows and utilizes the URL. Noone else could see or use it. 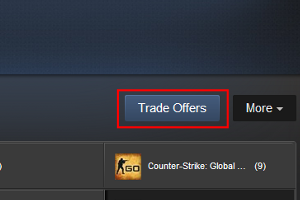 If you no longer wish our bot to send trade offer to you, you can simply get a new trade offer URL from Steam and the old one will become inactive. 3. How to obtain and setup my Trade Offer URL? Here is a quick link to access your Steam trade offer page which takes you directly to step 3. If you must go through all steps, follow the instruction below. 1. From your Steam Inventory, select 'Trade Offers'. 2. 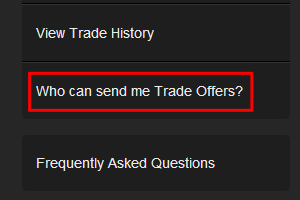 Select "Who can send me Trade Offers?". 3. Under "Third-Party Sites", copy the Trade URL link. 4. On your shop page, paste the link to the "Trade Offer URL" box.